We live in an anti-creedal age. Many churches do not have a body of jointly held beliefs. Where these are present, they often have little or no bearing on the life of the community. Sermons consist of sound bites, anecdotes and motivational remarks. If the Church is to be a force for change in the modern world, she needs to be clear on precisely what she stands for. She needs to be well grounded in the Truth. 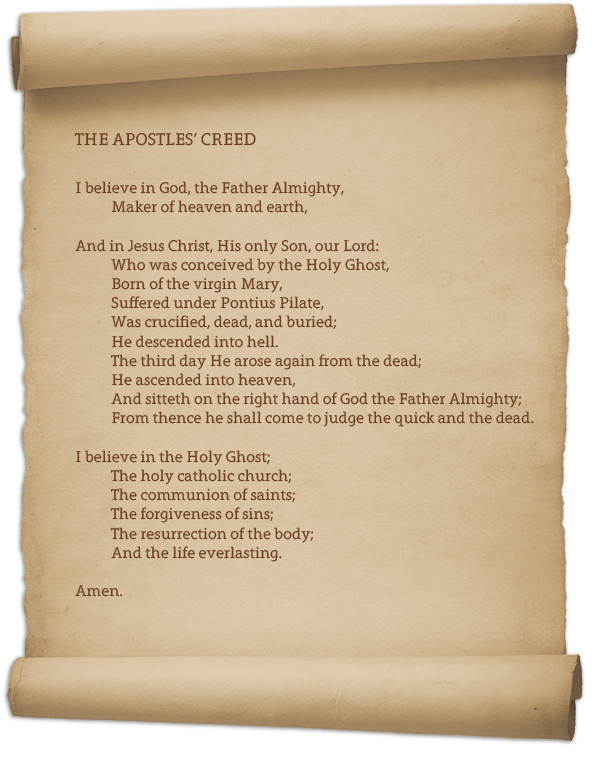 A helpful starting point is the document known as the Apostles’ Creed. It is by far the best popular summary of the Christian faith ever made within so brief a space. It still surpasses all later symbols for catechetical and liturgical purposes, especially as a profession of candidates for baptism and church membership. It is not a logical statement of abstract doctrines, but a profession of living facts and saving truths. It is a liturgical poem and an act of worship. Like the Lord’s Prayer, it loses none of its charm and effect by frequent use, although, by vain and thoughtless repetition, it may be made a martyr and an empty form of words. It is intelligible and edifying to a child, and fresh and rich to the profoundest Christian scholar, who, as he advances in age, delights to go back to primitive foundations and first principles. It has the fragrance of antiquity and the inestimable weight of universal consent. It is a bond of union between all ages and sections of Christendom. It can never be superseded for popular use in church and school. Previous Post What is Common Grace?